Babies grow more quickly than many new parents expect, and when it happens, you find yourself with a batch of old baby clothes that no longer fit your new bundle of joy. Instead of simply tossing it out, there are plenty of ways to repurpose the clothing—whether you’re crafty and want to turn the articles of clothing into new items or donate them to a good cause. 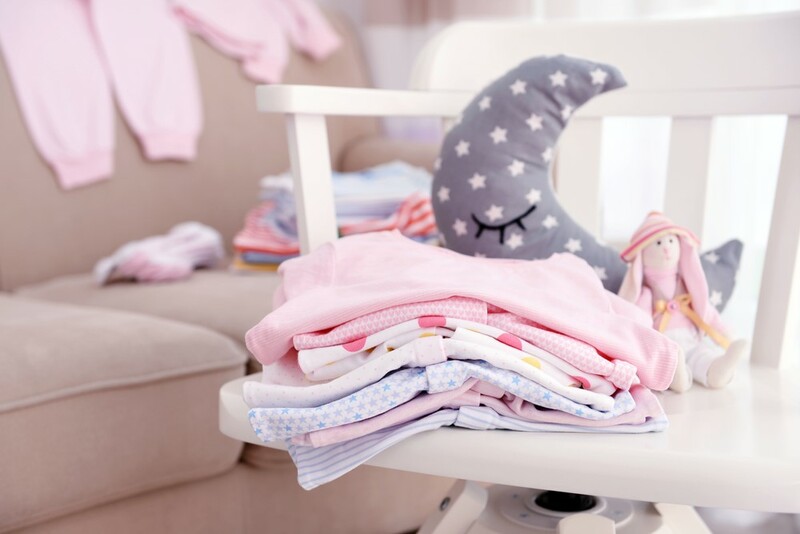 Sort through your infant’s clothing and determine which items he or she can no longer use and then test out some of our favorite upcycling ideas to put the old clothing to good use. 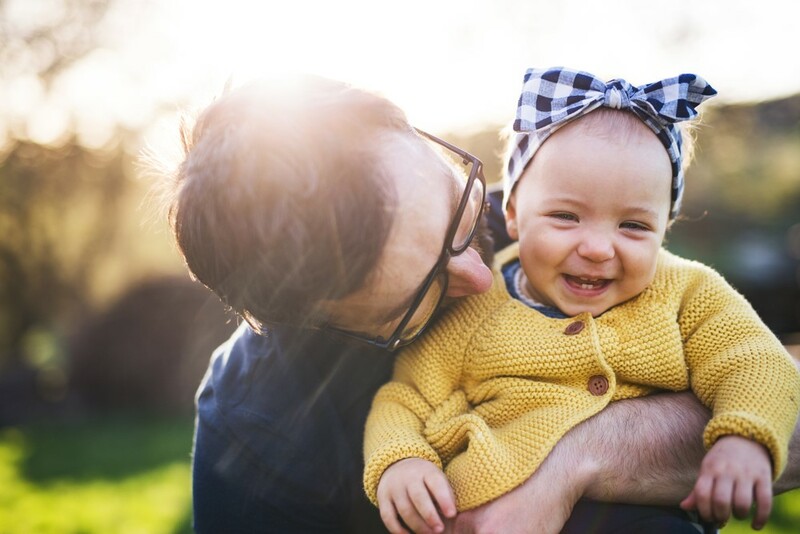 As you’ve probably realized over the last few months of preparation, buying an entire wardrobe for your baby can get expensive quickly because infants require many different items from onesies and pajamas to swaddle blankets and accessories like hats and mittens. Though baby clothing is sized based on age, this method is simply an estimate and may not always match up to your baby’s actual age. If your baby is born a bit bigger or grows more quickly, you might find that he or she requires a size three to six months even at just two months old. Avoid wasting those clothing items that your baby only used for a few months by donating them to someone else. If you have a friend or family member who is currently expecting, this is a great outlet for recycled clothing. You may have even been the recipient of someone else’s hand-me-downs during your pregnancy. For those who do not have anyone close to them who is expecting, there are dozens of places you can donate the clothes to help out another mom-to-be. Most local churches accept clothing donations, or you can seek out an organization specifically geared towards baby clothing and pregnancy item donations. Throughout the country, you’ll find GreenDrop locations, a program run by the American Red Cross, which accepts donations of any household items including baby items, adult clothing and electronics amongst other items. These donations are used to support the many outreach projects conducted by the organization to help with relief efforts and offer support to those in need. The Salvation Army is another popular option when determining where to donate your old baby clothes. The organization offers donations in their stores across the country at a steeply discounted price to help low-income families. If you’re interested in donating to a local organization, do some research and find out if there’s an institution in your area looking for reusable baby items. For the crafty mom, old baby clothes are the perfect material for unique DIY decorations that you can keep around the house or recycle for birthday parties and baby showers. 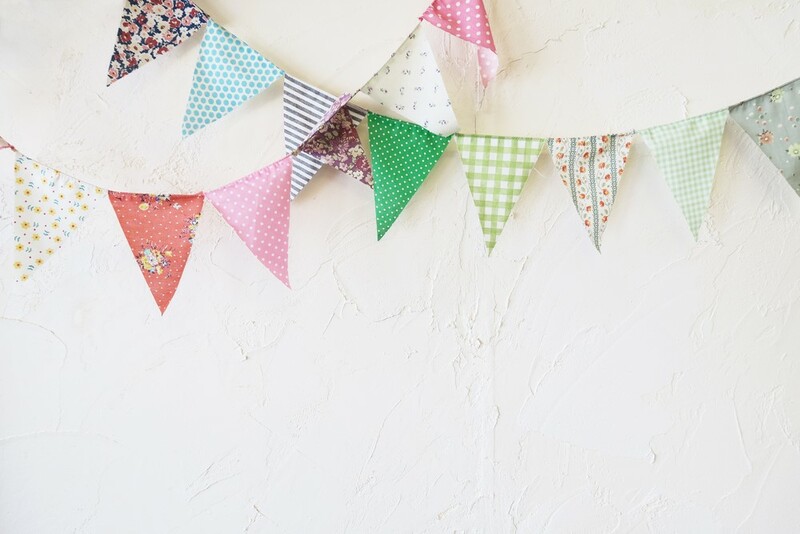 Pinterest is brimming with hundreds of DIY ideas, but some of our favorites include tassel garland, rose bouquets or garland and creative bunting. If you’re a beginner crafter, don’t worry—many of these projects require little to no sewing. For the bunting project, simply grab a pair of fabric scissors and begin cutting your chosen design. If you’d like, you can sketch out your pattern ahead of time (i.e., what shape you’d like the flags to be or what shapes you’d like to attach to the flags). Then, glue any decorations–for example, hearts or stars–to each bunt and attach each piece of fabric to a sturdy string. To create a rose bouquet, you can cut baby clothes into smaller pieces of fabric and then roll them into the shape of a rose and glue together. The tassel garland may be the easier baby clothing project. All you need to do is cut the fabric into long strands and keep the top two inches of the fabric intact to keep the strands together. Then, glue your creation to a string and hang! Patterned baby girl sleepwear or vibrant boys’ onesies are the perfect fabric for creative DIY decorations. One of the most popular ways to repurpose old baby clothes is by creating one-of-a-kind quilts and pillows. Select your favorite patterned clothing items that no longer fit your child and then cut them into squares of the same shape and size. To ensure that each square matches, you may want to use a measuring tape. To create a quilted blanket, you will need a larger amount of material, so you may want to consider recycling larger items that your baby no longer needs such as colorful traditional or swaddle blankets. After you’ve assembled each of your pieces for the quilt, you can sew them together, creating a warm new blanket as well as a special keepsake from your baby’s infancy. Pillows are created in the same manner, except you’ll need to purchase stuffing that should be inserted before the pillow is sewn closed. Constructing fun new games for children is an excellent way to reuse old baby clothes and provide your child with an exciting new item as they grow and learn. Teach your toddler about patterns and matching by sewing small squares of fabric with at least one other match. Set out these squares in front of him or her and help them to recognize which squares are made from the same fabric. With the aid of a teddy bear pattern, you can turn some of your favorite baby clothes into adorable new stuffed animal friends. You can also use different squares or pieces of fabric to design toys like blocks and balls filled with stuffing. Don’t let those adorable little baby clothes go to waste once your child has outgrown them—convert them into accessories they can continue wearing for months! The easiest way to design accessories from old clothing is by purchasing a pattern for the exact item you wish to make—hat, mittens, headbands, etc. Then, select an article of clothing that will provide enough fabric, cut the pattern and sew it together. Voila! You’ve now turned the old baby clothing in a fun new accessory. Save $0.50 when you purchase ANY TWO (2) Yardley Bath Bars. Any variety. Items must appear on the same receipt. .Expires 6/19/2019.Save $0.50. Save $0.75 when you purchase ANY ONE (1) Disney Donald Duck Juice. Any variety..Expires 6/6/2019.Save $0.75. Save $1.00 when you purchase ANY TWO (2) White Castle Slider Refresh. 4-pack or larger..Expires 6/6/2019.Save $1.00. Save $1.50 when you purchase ANY ONE (1) Atkins® PLUS Protein & Fiber Shakes. Any variety..Expires 5/9/2019.Save $1.50. Save $1.50 when you purchase ANY ONE (1) Atkins® Protein Powder. Any variety.Expires 5/9/2019.Save $1.50. Save $1.00 when you purchase ANY ONE (1) Atkins® Protein Wafer Crisp Bars. Any variety..Expires 5/9/2019.Save $1.00. Save $1.25 when you buy any ONE (1) Sempio Gochujang: Hot & Sweet Chilli Sauce. 500 g..Expires 6/19/2019.Save $1.25. Welcome to the National Arbor Day With Tree Hut Giveaway! This giveaway is part of our Mother's Day/Father's Day/Graduation Gift Guide – Stop by to see all the giveaways and great products. This giveaway/sweepstakes is in no way endorsed, affiliated, or associated with Facebook, Twitter or any other Social Media Networking Site. This Giveaway is valid to continental United States residents only, Entrants must be 18+ years of age to enter. This giveaway event will end at 11:59 PM (EST) 5/16/19. The giveaway is not valid where prohibited! By entering you are authorizing us to collect the information on the form below, this information is used only to contact the winner! No purchase necessary, Void where prohibited by law, and the number of eligible entries received determines the odds of winning. Winners are chosen randomly by the Giveaway Tools program. The sponsors are each responsible for shipping of the above prizes. No blog associated with this contests are responsible for prize fulfillment. If you take an entry you must stay following for the entire contest or you will be disqualified. Stress Less 4 Health #Giveaway! Welcome to the Stress Less 4 Health Giveaway! Salonpas No More Pain #Giveaway! Welcome to the Salonpas No More Pain Giveaway! This giveaway/sweepstakes is in no way endorsed, affiliated, or associated with Facebook, Twitter or any other Social Media Networking Site. This Giveaway is valid to continental United States residents only, Entrants must be 18+ years of age to enter. This giveaway event will end at 11:59 PM (EST) 5/14/19. The giveaway is not valid where prohibited! By entering you are authorizing us to collect the information on the form below, this information is used only to contact the winner! No purchase necessary, Void where prohibited by law, and the number of eligible entries received determines the odds of winning. Winners are chosen randomly by the Giveaway Tools program. The sponsors are each responsible for shipping of the above prizes. No blog associated with this contests are responsible for prize fulfillment. If you take an entry you must stay following for the entire contest or you will be disqualified. Welcome to the NatureZway Chemical-Free Cleaning Giveaway! This giveaway/sweepstakes is in no way endorsed, affiliated, or associated with Facebook, Twitter or any other Social Media Networking Site. This Giveaway is valid to continental United States residents only, Entrants must be 18+ years of age to enter. This giveaway event will end at 11:59 PM (EST) 5/8/19. The giveaway is not valid where prohibited! By entering you are authorizing us to collect the information on the form below, this information is used only to contact the winner! No purchase necessary, Void where prohibited by law, and the number of eligible entries received determines the odds of winning. Winners are chosen randomly by the Giveaway Tools program. The sponsors are each responsible for shipping of the above prizes. No blog associated with this contests are responsible for prize fulfillment. If you take an entry you must stay following for the entire contest or you will be disqualified.